Wisdom sings her song in the streets. In the public squares she raises her voice. At the corners of noisy streets she calls out. “How long will you gullible people love being so gullible? How long will you mockers find joy in your mocking? “Turn to me when I warn you. I will generously pour out my spirit for you. Personification brings an abstract and conceptual thought more real and relatable. 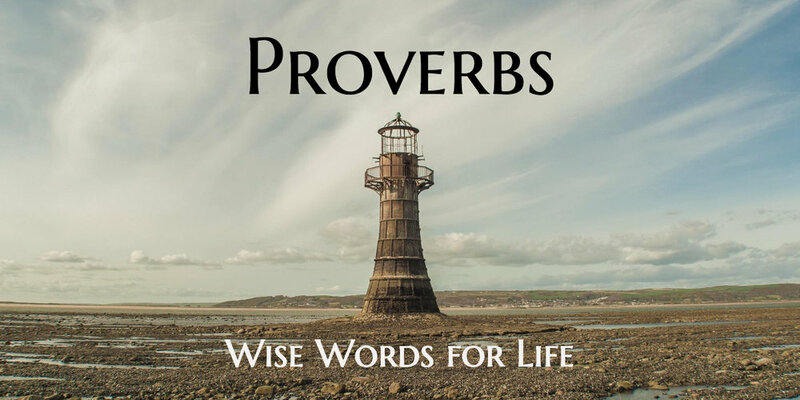 Wisdom is often personified as a woman in Proverbs as a means of illustration, which I mentioned in an earlier post and in my study guide for Proverbs. Personification makes things more personal, like BB King's guitar named Lucille and Willie Nelson's guitar Trigger. Ships and cars are often referred to as if feminine and sometimes characters or caricatures serve to personalize an attitude like Dickens' Scrooge and Dr. Seuss' Grinch. Throughout the Bible, God is shown to be the origin of wisdom. Wisdom is expressed in words and when God became human in the person of Jesus—the Word made human (John 1:1, 14)—Wisdom became human. Godly wisdom is available to those who seek it. To those who listen for it. But the gullible and those who mock or hate wisdom shut their ears to wisdom. People who hear Wisdom's warnings and heed them will be rewarded with freedom from worry and dread. But people who refuse and despise sound counsel and guidance will suffer for it. This contrast between wisdom and foolishness results in the need to choose. Sadly, not choosing wisdom and heeding her guidance and warnings is the default choice of foolishness and carries many consequences. We need to be intentional about pursuing godly wisdom rather than defaulting to the ignorance of gullibility or recklessness of foolishness. When in your life have you realized that it cost you because you didn't listen to or seek wisdom? When have you sought and listened to wisdom and benefitted from doing so? Ask God to reveal to you how you are closing your ear to Wisdom's call so that you may be free of worry and dread.